Every kid deserves a great night's sleep. 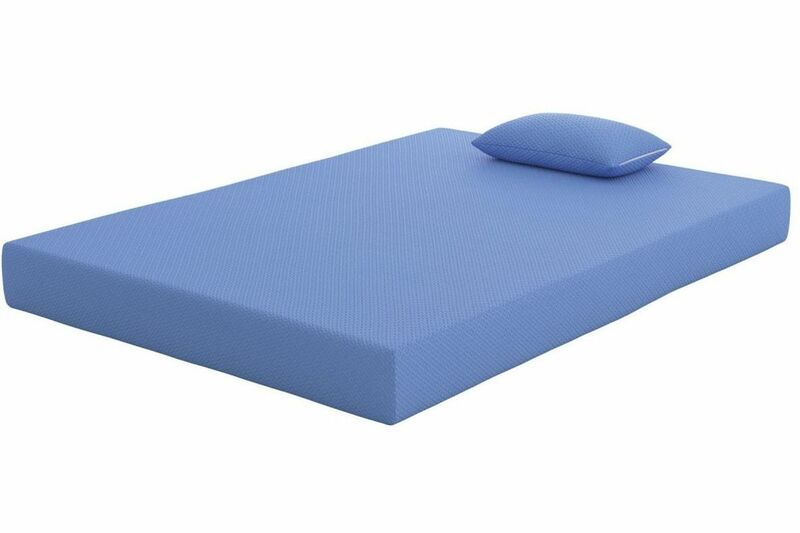 That's just what you can expect from the blue Ashley-Sleep® iKidz full memory foam mattress with FREE pillow. Priced to put you at ease, this iKidz mattress provides trusted support that's essential during their formative years. Elements that make getting a sound sleep that much easier: a four-way hyper stretch knit cover that eliminates surface tension, along with layers of luxury support quilt form and Conforma soft foam. Snuggly soft yet supportive pillow makes for sweet dreams.